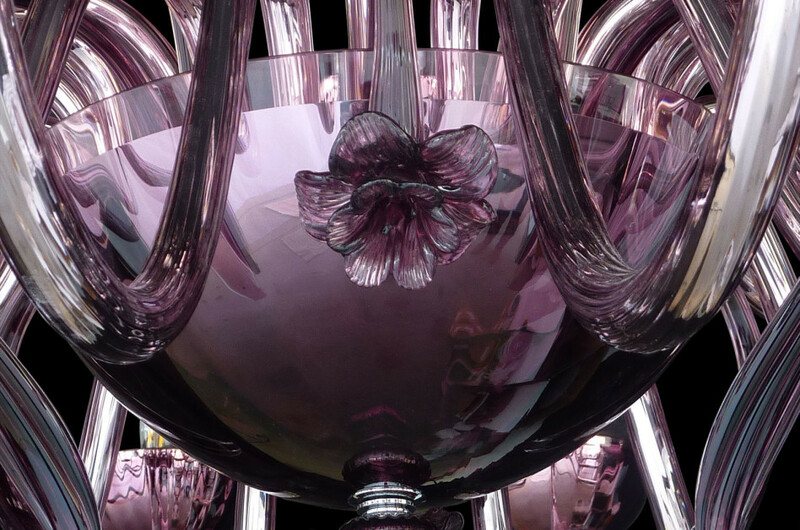 The experience of the Murano glass masters who have made known throughout the world the art of Murano glass. 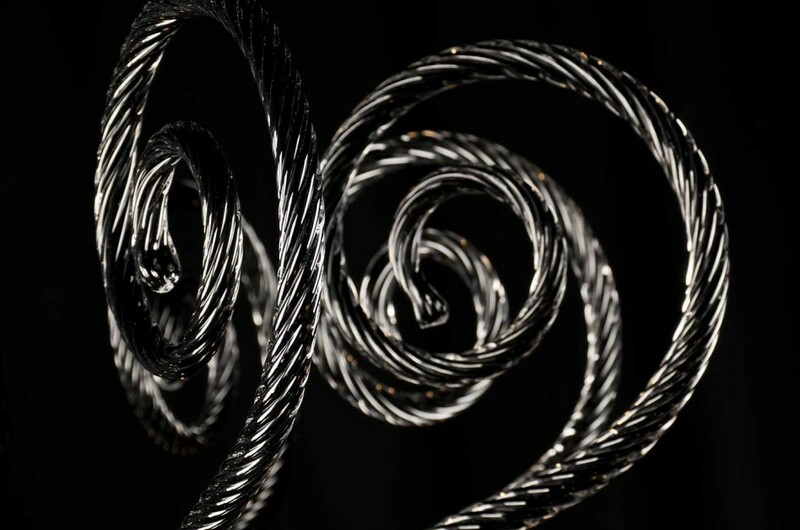 The Murano chandelier classic revived with modern manufacturing techniques. 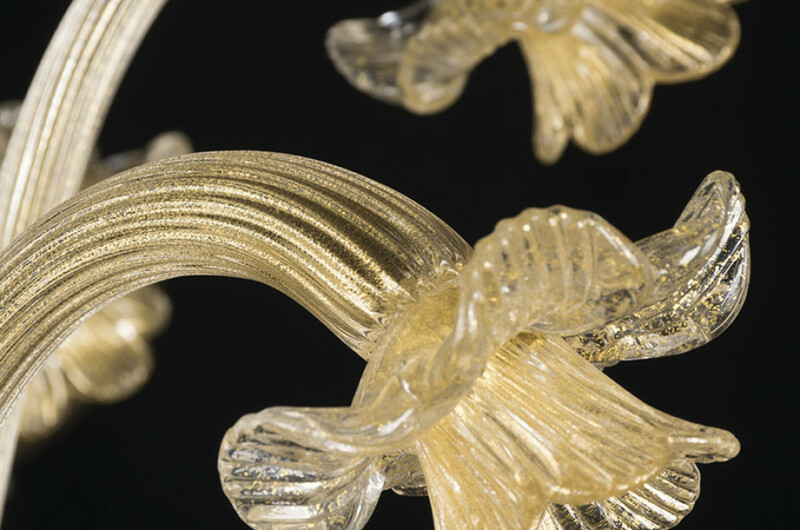 The evolution of the classic Murano glass. 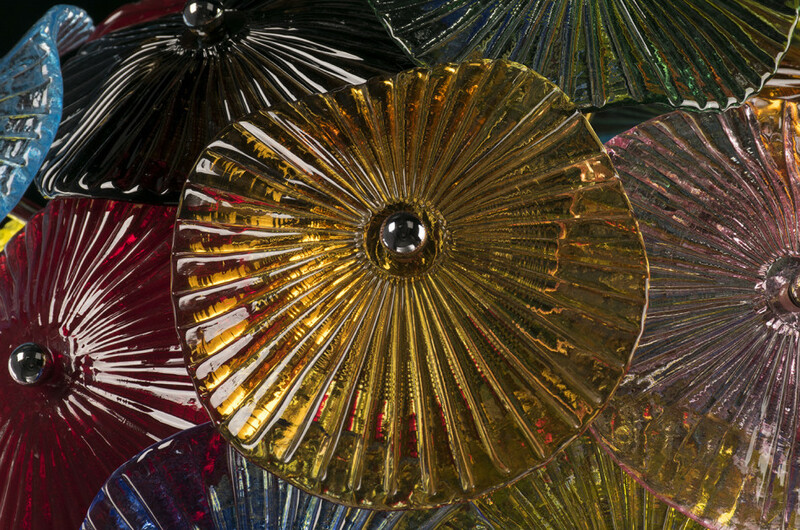 Particular collection of Murano glass custom projects. Royal modern chandelier 16 lights Murano glass blown and shaped by hand. Amber colour, black shades, metal part in shiny gold. 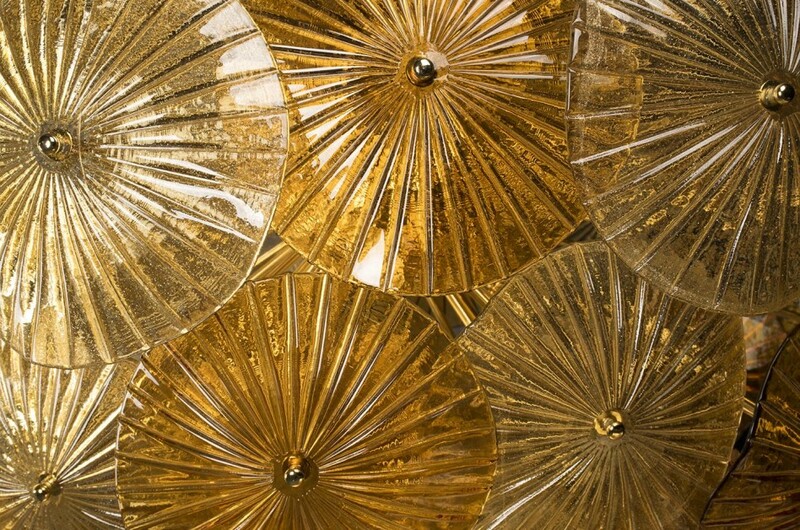 Dalia modern celing Murano blown glass and shaped by hand. Multicolor, Metal part brushed gold. 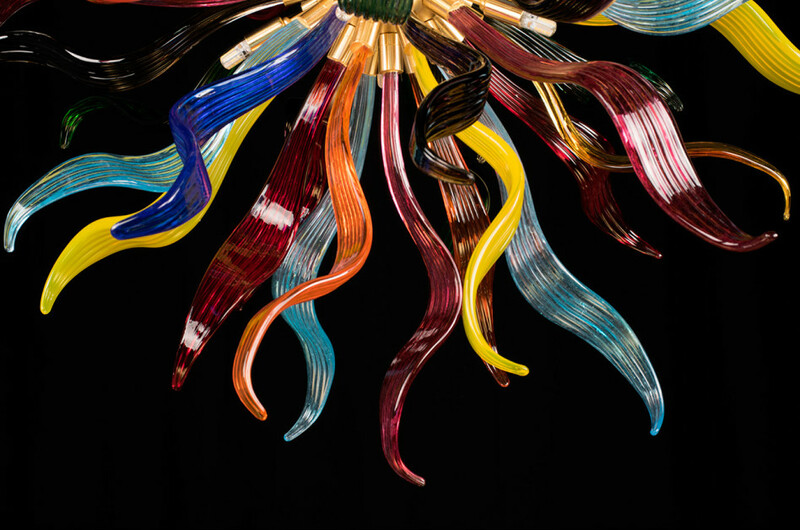 Liberty classic chandelier Murano glass hand-blown and shaped by hand. Placement of lights on two levels.